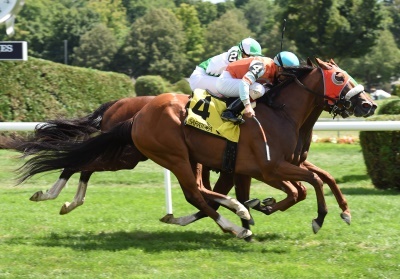 Carl Lizza Racing Stables, LLC’s Uno Emayo took on the leaders at the top of the stretch of Monday’s $98,000 New York Stallion Series Stakes on the Saratoga turf course, battled on the outside down the stretch and stuck his nose in front at the wire to win a three-horse photo. 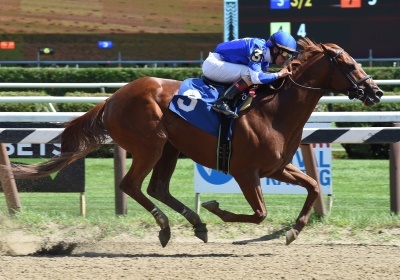 It’s the third straight win and first stakes victory for the 3-year-old gelding by D’Funnybone, purchased for $30,000 out of the Hidden Horse Bloodstock consignment at the 2014 OBS August Yearling Sale. 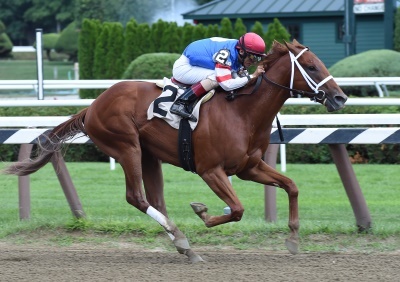 Also trained by Rudy Rodriguez, he’s now 14-4-1-3 and has earned $146,382.